So it’s been ten years this Sunday since I signed my first contract with Gollancz. Which remains somewhat astonishing to me, mostly that I’m still allowed to make stuff up when I should be working a proper job… But anyway I was going to do a giveaway of all my books to celebrate when it occurred to me that I’ve done a few of those over the years and it was maybe time to do something different. Instead, I want your money. Or rather, I want it to go to my local charity. 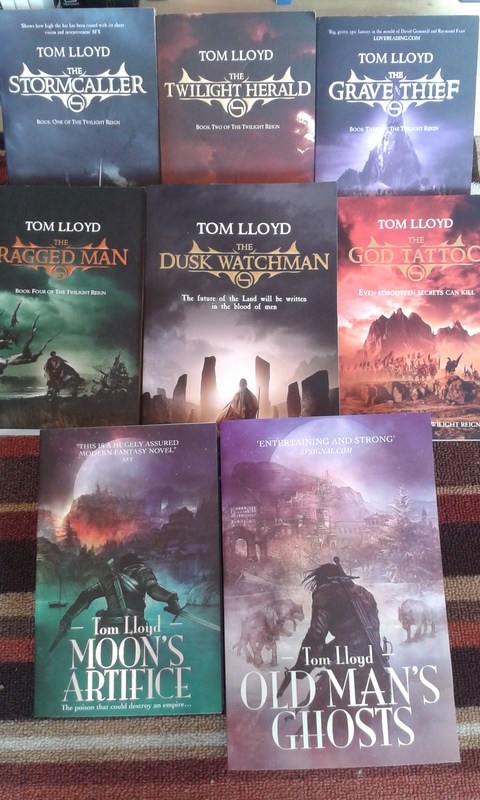 I’m looking for bids on a set of all my published books (that’s the entire Twilight Reign plus the two Empire of a Hundred Houses books, seven novels and one collection of short stories – plus, if someone proves particularly generous, perhaps also a promise for copies of the novella and novel I’ve written but haven’t come out yet). The charity is Helen and Douglas House, a hospice for children and young adults with life-shortening conditions. http://www.helenanddouglas.org.uk/ – and in case you want to just throw money their way right now, the best place for that is via their website or here - https://www.justgiving.com/hhadh/ – the do brilliant work and are lovely people so well deserving of your generosity. So put your bids in the comments here, as replies on facebook or twitter or emailed through my website even – I don’t care where, I’ll do my best to collate them and make it clear what the leading bid is. I’ll be covering postage (so kinda hoping for a UK-based winner ;0) ) and I’m open to negotiation when it comes to format, size of winning bid depending – I think I’ve got most of the ones printed – and will sign/dedicate/first line as requested so long as it’s vaguely reasonable. I’ll leave this to run until Monday morning, get bidding!